Here’s a musical entry for the Fubarino Contest that turned out to be rather delightful. First, [Mats] shows off his musical knowledge by using the notes H, A, and D to play the chord that unlocks the Easter eggs. What’s that you say? There’s no H on your keyboard? You’re wrong. In the German music tradition B natural is known as H. This is what allowed Bach to write a tune that spells his name. [Mats] is hacking on his PlingPlong synthesizer. The first Easter egg—which you can see in the clip after the break—launches with the H-A-D chord in the lower octave, spelling out our URL on the 7-segment displays. But we prefer the second egg, launched with the chord in the upper octave, which is shown above. 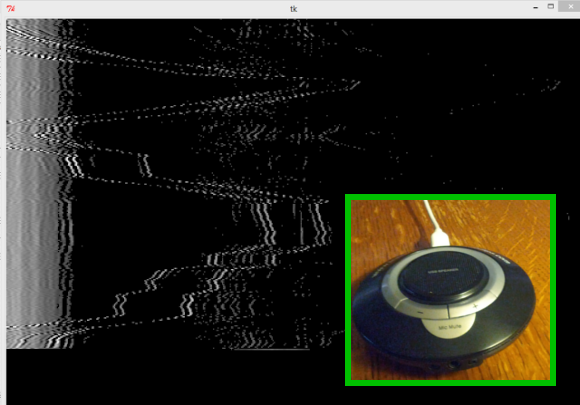 It uses the 3×5 LED grid to scroll out the address; in this still image an H is displayed. [Ferdinand] sent in a tip about the very cool DelFly Explorer, built by researchers at Netherlands’ Delft University of Technology, which is claimed to be the world’s first autonomous, flapping micro air vehicle. While it doesn’t fly like a typical ornithopter, the specs will convince you not to care. It has an 28 cm wingspan and weighs 20 grams, which includes motors, a battery, two cameras, and an autopilot. The autopilot uses accelerometers and a gyroscope, plus a barometer for altitude measurement. You can see the on-board video at the 35-second mark on the video (after the break). They are incredibly noisy images, but apparently the researchers have come up with some algorithms that can make sense of it. Put it all together, and you have a machine that can take off, maintain altitude, avoid obstacles, and fly for nine minutes. 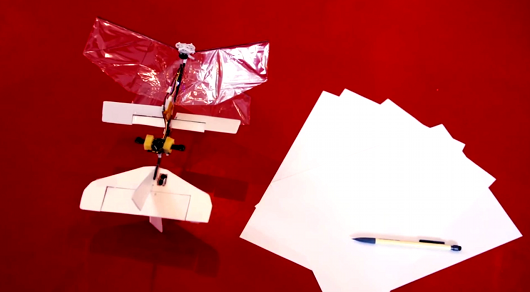 We’ve seen a cool ornithopter design before, and even a thrust vectoring plane, but this surpasses both projects. It’s pretty incredible what they have been able to fit into such a small design. [Unixgeek] owns an Optrel welding hood, which contains a lens that auto-adjusts for various welding tasks. It stopped working properly, and this hood is “Non-Serviceable”, so he had to either throw it away or hack it. The problem was that he knew it contained batteries, but they weren’t accessible. 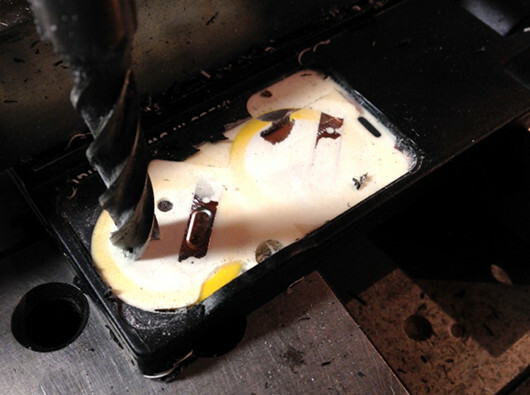 Using his milling machine, he was able to fix it himself. After removing the outer layer of plastic [Unixgeek] found that it was filled with foam. With continued milling he finally uncovered the batteries. They are standard CR2330 cells, so he could easily replace them, or set up a separate battery holder. We like seeing this sort of hack, as simple as it is, because of how much we truly hate devices with planned obsolescence built in. This is a >$300 safety device that gets broken when some coin cells finally die. Any sort of hack to keep people from having to throw away their devices is a good thing. Do you have a favorite planned obsolescence hack? Share it in the comments!